I was reading the The Scarlet Pimpernel when we were planning our first holiday to Norfolk and that I found a cute little fisherman's cottage in a village called Blakeney seemed a good omen to me. The small Norfolk village of Blakeney is one of the most tranquil, relaxing places I've been to. And nowhere in the village are you far from the water ... even though the sea seems sometimes quite a long way away. Once - in the Middle Ages to be precise - this village was a thriving port, where ships docked from Holland and France and the lands of the Hanseatic League. 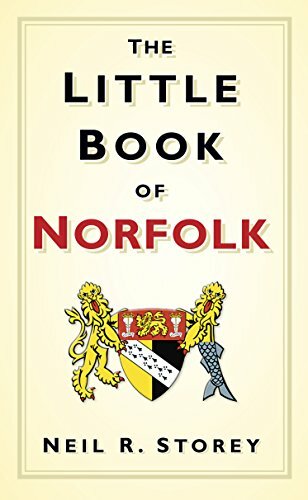 But slowly the harbour began to grow shallower until the big trading ships could no longer use it and Blakeney's fortunes declined. What put paid to its ambitions as a trading port - currents and sands - created an extensive area of marshland and a haven for birds. 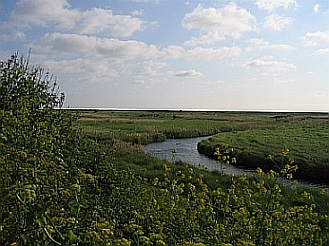 Follow the coastal path from Stiffkey to Morston in the early evening and the peace and quiet will amaze you. You can see for miles and you will hear ... nothing but birdsong. When the tide is in and the many sailing boats have water under their keels, the quay is busy with people, sailors and day trippers ready for a boat tour to the seals at Blakeney Point. Children with their lines and nets and buckets full of small crabs are always around. And above all the sky stretches up and outwards, seemingly forever. That's Norfolk at its best. 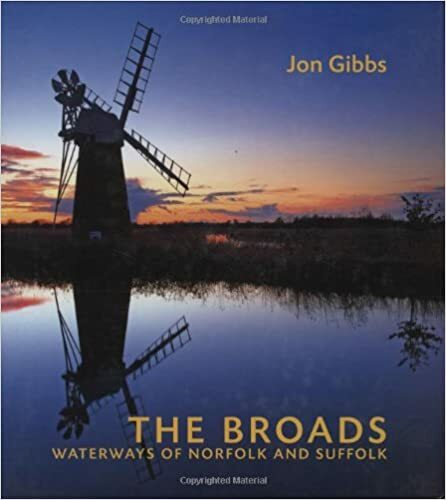 For a holiday base initially selected on the strength of an appealing cottage, Blakeney has proved a definite hit. The numerous small, quiet roads in this part of Norfolk are ideal for exploring on the tandem. There's no shortage of good pubs, cafes or fish and chips shops. 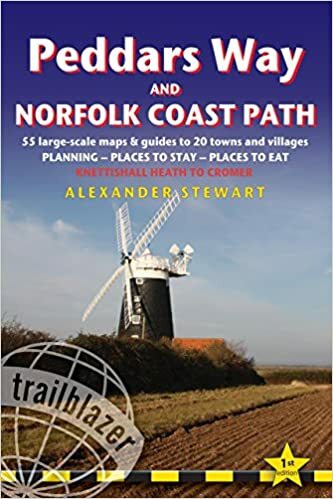 And North Norfolk's prime attractions such as the beaches at Wells or Sheringham, Cromer, the city of Norwich, Castle Acre, Great Yarmouth, Sheringham Park or Walsingham are all easily reached. Follow the many footpaths that cross the Marshes, binoculars at the ready, then consult the RSPB guide on coming home to find out what it really was you've seen out there. Or walk all the way down the shingle beach to Blakeney Point and pay a visit to the seals. If the tide is out, they may actually be on your side of the beach, closer than you've ever been to a wild seal. Then make your way back through the dunes towards your car, with the air heavy and still around you and the relentless breathing of the sea almost inaudible - until you step out of the shelter of the dunes back onto the shingle, where the wind blows and the waves rattle the stones. Inevitably, the way back is muuuch longer than the way out and you'll arrive back at your car hungry and wind-blown (and most likely sunburnt, too!). The village has a few decent eateries, notably the Blakeney Hotel right on the quayside, plus a couple of pubs and restaurants where you can get anything from breakfast to a plate of sandwiches to a sumptuous dinner. But personally, when we're in Norfolk we rarely go out to eat. The holiday cottage we rent has a little garden and sitting out there with a bottle of red and food to nibble on while the sun sets over the marshes is one of the perks of holidaying in this lovely spot. There's a wonderful deli in the village for all manner of tasty nibbles and a fish shop if I fancy crab or freshly caught shrimps. 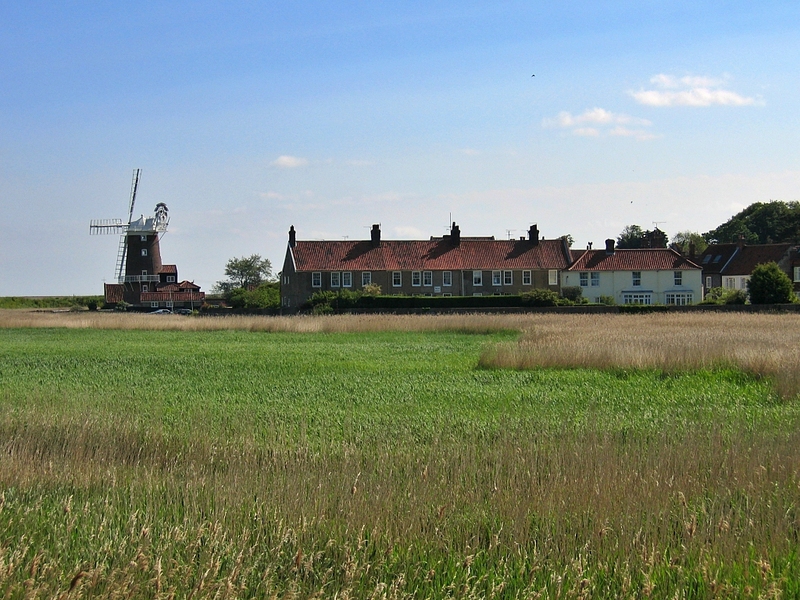 The village of Cley-next-the-Sea just down the road has a smokery full of tasty fare and during the time that we're usually there stalls along most major roads offer fresh asparagus, local strawberries and the first broad beans. That's also Norfolk. Fast food that's been nowhere near the golden arches, as fresh as you could wish for. And if you're in the mood for a celebration, and cooking does not appeal to you, then you can push the boat out and dine in style at Morston Hall, where Michelin-starred chef Galton Blackiston presides over the kitchen. That one's still on our to-do list. Our Norfolk breaks tend to be so laid back, we can rarely be bothered to dress up to go out. 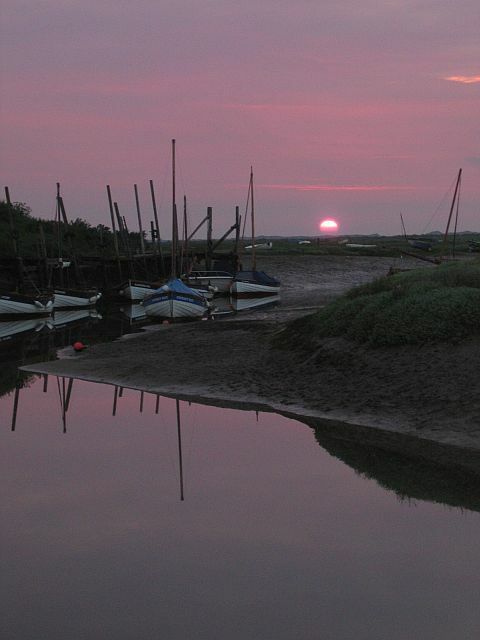 Unless it's at sunset for one final walk along the coastal path or around that perfect Blakeney Harbour. 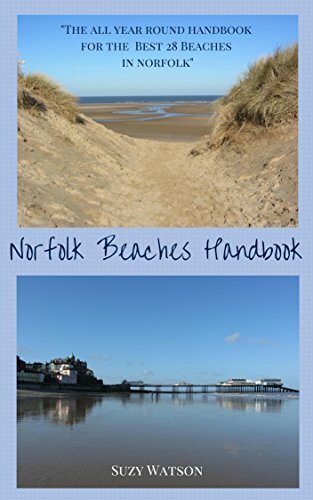 Want to explore the charms of the Norfolk coast for yourself? That's easily done as the whole area boasts holiday cottages galore, from small, romantic hideaways for two to Victorian town houses large enough for the whole tribe! 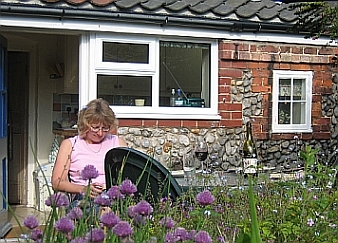 Check out our selection of holiday cottages in Norfolk. 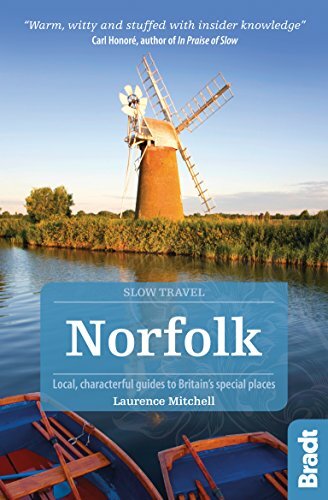 Alternatively, for more holiday ideas return from Blakeney to the Norfolk page.